Scouter Keith’s friend Bruce Hollowell is head of lifeguard services at Toronto Police Services and led us on a tour of the Marine Unit and a tour of the harbour on a police boat. 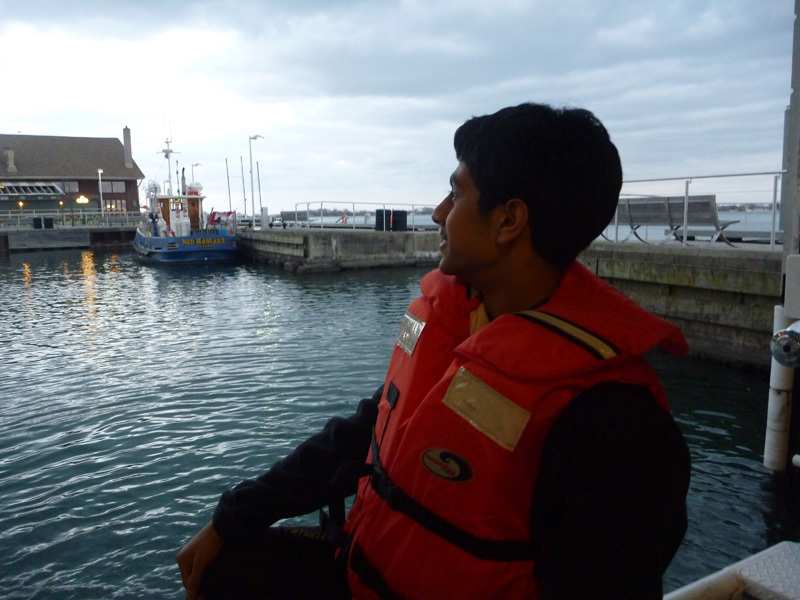 The oldest boat they have is a beautiful wooden one built in 1939, now only used for special occasions. We also held a horseshoe to officially became a Sea Scout Troop while we were there. Some pictures follow. 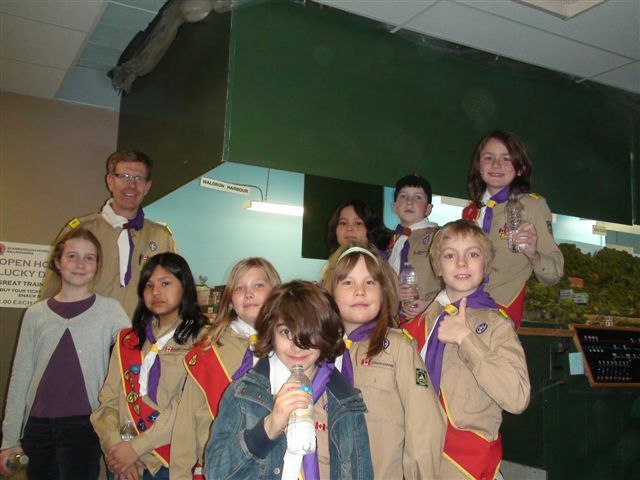 On April 19, the 403rd Cub Pack visited the Scarborough Model Railroaders Club. We wanted to learn more about the aspects model railroading. These include track layout, making scenery, electrical layout and control, railroad themes, different scales of railroads, and the display of different railroading time periods. This club really loves model railroading and we got to see so many behind the scene features of the two sets they have operating. This visit and model railroading are included in the Artist, Carpenter, Collector, Handicraft badges and the Canadian Arts Award. Everyone had a great time. 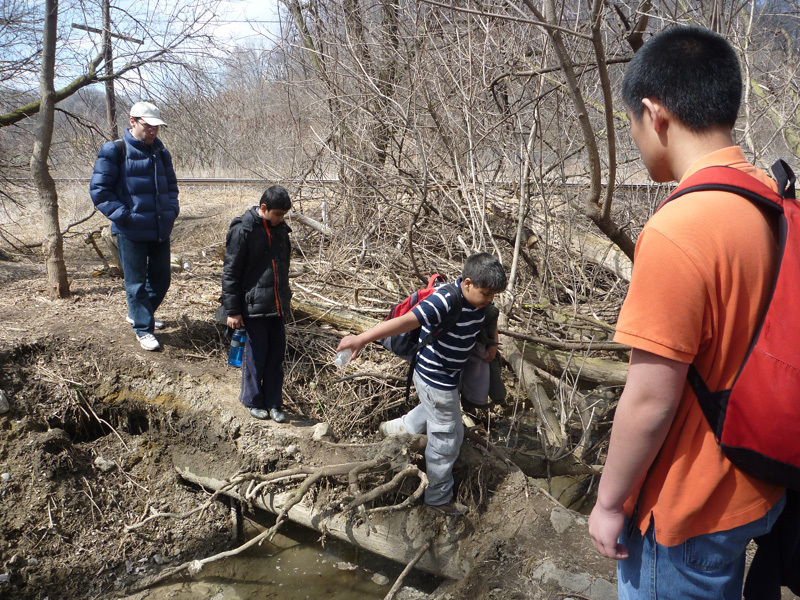 The weather was awful and every one of the Scouts was late, but those who turned up headed down into the Don Valley to work on a few more Scouting skills. 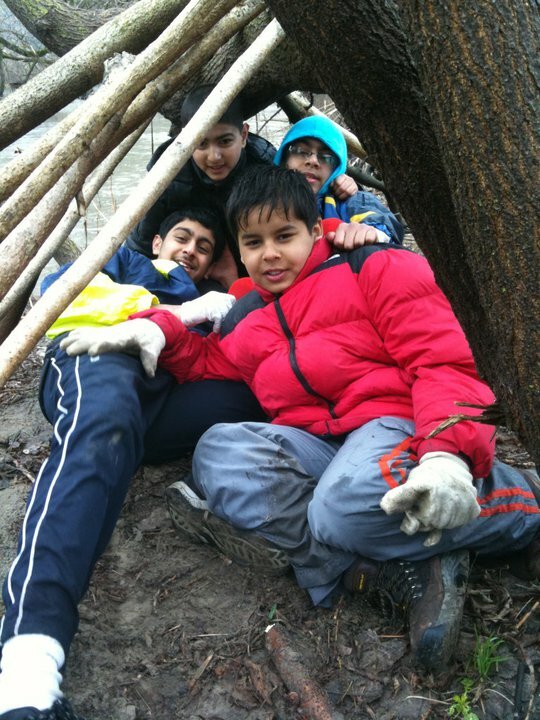 We did some activities related to Leave No Trace and discussed it for a while and then worked on shelter building after lunch. Some photos from Siddharths’s camera follow. Thanks for bringing it Siddharth! 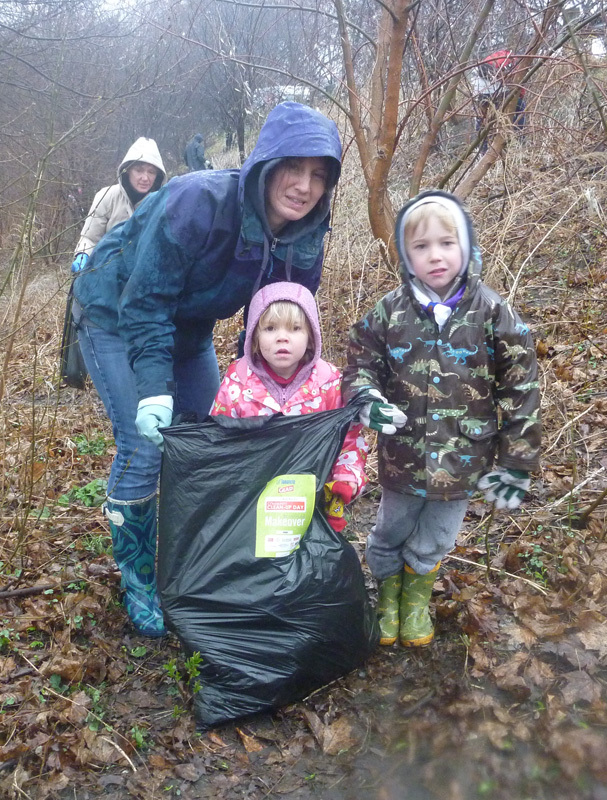 Beavers, Cubs, Scouts, Leaders and parents gathered in truly dreadful weather to clean up one of our local neglected spaces just south of Riverdale Park West. A big thank you to everyone who came out and helped. You should be very proud of yourselves for your commitment to Scouting ideals. A few pictures follow. 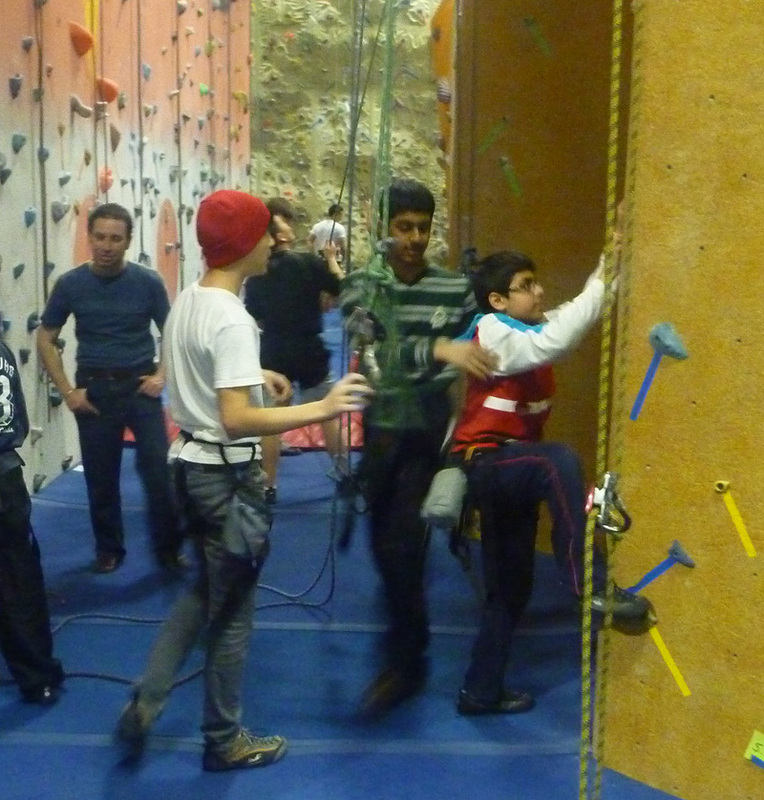 The whole troop went climbing at the Toronto Climbing Academy yesterday. There was unfortunately some lack of clarity about how it was all going to work, but in the end we had a good time. It’s a great gym, with great staff.